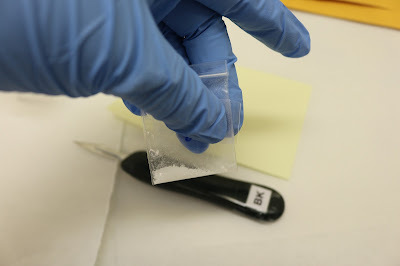 Acrylfentanyl and tetrahydrofuran fentanyl are the new kids on the analog block and are being found at the scene of an increasing number of fatal opioid overdoses. Naloxone (narcan) is typically administered with a 0.4mg dose. 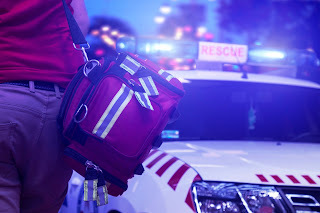 First responders are now going straight to a 2mg dose. The fentanyl that’s out there binds to opioid receptors far more tightly than other opioids. Acrylfentanyl and tetrahydro fentanyl have been increasingly identified in crime labs in Georgia, Illinois and New Jersey. 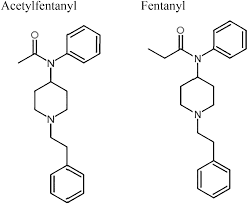 The kicker is that these particular variations of fentanyl have not yet been declared a controlled substance by the US Federal Drug Enforcement Agency. So buying it online is not illegal the DEA says. An NBC reporter did an online search for acryl fentanyl and quickly (within seconds) found a site offering 100 grams for $797 and 1000 grams for $3,497. 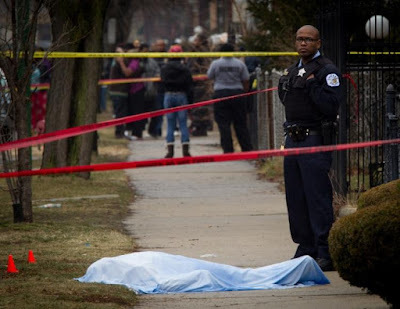 When it comes to killing people in Chicago, bullets now have competition from acryl fentanyl. President Donald Trump regularly rails about Chicago’s homicide rate, which hit 812 last year. But the city reported that in 2016 1,091 people died, at least in part, because of an opiate-related overdose. So far, more than 200 people have been killed in Chicago from acryl fentanyl.